I have been a Realtor since 1984. I have consistently been a TOP PRODUCER in the New Orleans Metropolitan area concentrating on the Eastbank of Jefferson Parish, St.Charles Parish and Orleans Parish. I have been recognized as a Platinum Award Winner and Gold Award Winner with the New Orelans Metropolitan Association of Realtors and the 100% Club at Re/Max. 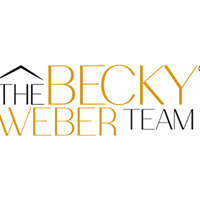 In 2008, my daughter, Erin Helwig, and I launched The Becky Weber Team. We currently have 2 other buyer's agents on our team, Kelly Matessino & Chris Hakenjos. They will work very hard to find you the home that suits your needs and help you buy it at the right price. We do everything possible to make the process of selling or purchasing your home a pleasure. Whether you are just starting to familiarize yourself with the market or ready to buy right away, Erin Helwig, Kelly Matessino or Chris Hakenjos will be there working at your pace. Think Real Estate. . . .Think "The Becky Weber Team"